Seychelles is an insular state with attributes of a reliable offshore jurisdiction. The tax regime attracts foreigners in setting up all sorts of companies and businesses in complete privacy and with the guarantee that their assets are protected. There are though a few business structures where a corporate tax is imposed, but if you would like to know information in this sense and in matters of company registration, you may talk to our company formation consultants in Seychelles. Limited liability in Seychelles are known as proprietary companies and can be established by any nonresident investor who provides a minimum share capital of 1 USD. This type of structure can operate in any field in Seychelles as long as it respects the rules and regulations imposed in the chosen business. As for the corporate tax for a proprietary company in Seychelles, this is set at 33%. If you are looking for a fast incorporation and business development, you can direct your attention to a branch set up in Seychelles. Besides the formation process of a branch for which two registered agents are necessary, the owners must observe the corporate tax which at the moment is set at a rate of 33%. As for the special license company in Seychelles, these are subject to a 1.50% corporate tax rate. More information in this direction can be obtained from our company incorporation specialists in Seychelles who can also provide you with the essential assistance and details about the time of company registration with the authorities in charge. Offshore companies or IBCs (International Business Companies) as they are called, are the preferred business entities for foreigners who want to protect their assets because there is a special tax regime imposed and several exemptions. It is good to know that Seychelles enforces no corporate tax for offshores registered in the insular state. There is no need for audit requirements or annual tax returns, and the offshore company in Seychelles can run easily on the market, supervised by the shareholder outside the country. 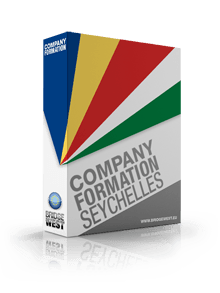 For a better understanding of the company formation in Seychelles and the tax regime for the available structures, we invite you to contact our team of company incorporation agents in Seychelles.